THE MARINE CORPS WAY TO WIN ON WALL STREET: 11 Key Principles from Battlefield to Boardroom (St. Martin’s Press, August 30, 2016) is one Marine-turned-banker’s new paradigm for achieving high levels of success on Wall Street and in business based on principles and practices he first learned and practiced over a decade on active duty as a United States Marine. After Ken left the Marines, he led major parts of two large corporations, grew one tech firm then built, grew, and ultimately sold another highly successful tech firm, and then built an award-winning investment bank. He didn’t rely on tactics that have made Wall Street and some CEOs targets of today’s public and political criticism (short- term thinking, self-aggrandizement, prioritizing the individual ahead of the team, putting profit ahead of the client). Instead, he applied 11 specific Marine Corps principles. They worked. In his new book, Marlin shows how to apply these 11 Marine Corps principles to overcome the daily challenges of business and to not only come out a very big winner but also to do so with your head held high. Marlin shows how he has applied his 11 Marine Corps principles in ways that most leaders should be able to recognize, illustrating each principle with heroic examples from the Tet Offensive and the Iraq War to Marlin’s high-stakes decisions on Wall Street – and he applies them to situations that most leaders will recognize as common occurrences. 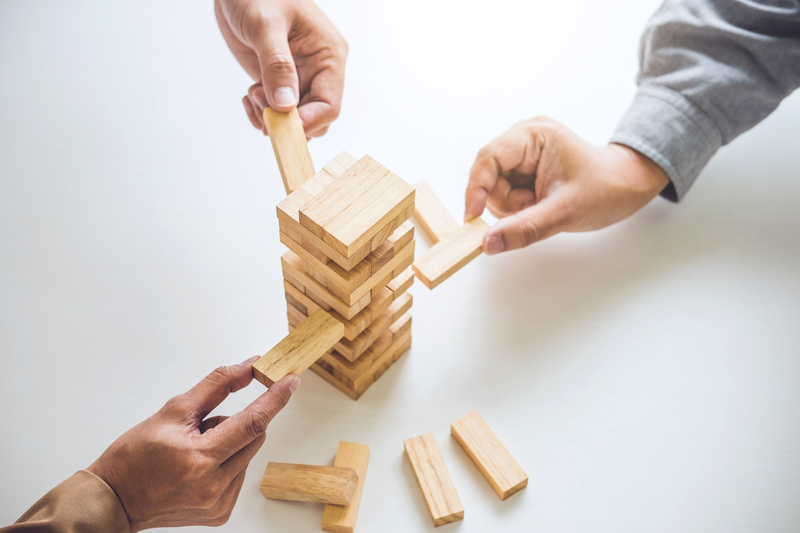 It’s about taking the long view, putting client and team interests ahead of your own, knowing the enemy, executing carefully crafted plans with discipline, building the right culture, controlling the timing, winning – and doing so the right way, every time. "In The Marine Corps Way to Win On Wall St., Ken Marlin lays out a compelling vision to improve Wall Street by returning to solid core values like taking the long view, behaving with honor, delivering excellence and working for a cause greater than money. Ken is one of the most knowledgeable and trustworthy investment bankers I know. He lives up to the standards in this book." THE MARINE CORPS WAY TO WIN ON WALL STREET is the antidote Wall Street needs now to turnaround its culture, and to empower professionals in any industry to get things done and win with pride. CEOs, entrepreneurs, board members and rank and file can all benefit. "Ken Marlin’s book The Marine Corps Way to Win On Wall St. should be required reading by CEOs on Main street as well as bankers on Wall Street – and those who would do business with them. 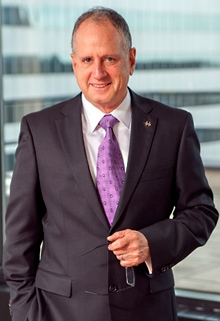 He has been there – as a Marine, CEO, and a banker. The parallels between the Marine Corps teaching and success in the competitive financial sector are real. I’ve seen it first-hand." 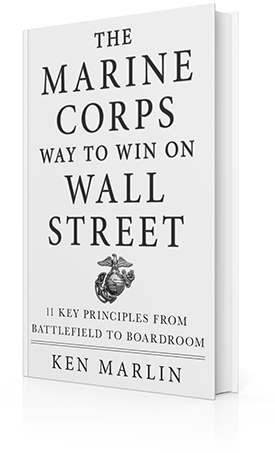 "Ken Marlin's The Marine Corps Way to Win On Wall St. offers a fascinating re-think on how Wall Street ought to operate. This book resonates with practical insights from Ken's years as a Marine officer and as a Wall Street financier. I kept finding myself nodding my head in agreement!" "Ken Marlin ‘s book The Marine Corps Way to Win On Wall St. is right on target. And he is the real deal. As a banker with a successful m&a practice, an entrepreneur, a former tech company CEO; and a Marine, he brings a unique perspective to achieving success that resonates with practical insight that is rarely seen in practice. I’ve seen Ken’s approach It works." "Ken Marlin helped me sell my company iSuppli for $100 million. Forget all those other books on Wall Street. Ken Marlin’s The Marine Corps Way to Win On Wall St. is the best book I've ever read on how to make money and win the right way." Professor in Entrepreneurship, Princeton University, and author of START-UP LEADERSHIP. "A refreshingly frank, logical, and concise critique of Wall Street by Ken Marlin, who has both the moral courage AND the credentials--a Marine who became a successful Wall Street insider―to challenge the venerable Wall Street institution/culture. The Marine Corps Way to Win On Wall St. is a compelling must read." "Ken Marlin is well known for his straight-up Marine Corps approach to problem solving. I’ve observed his techniques personally, and they work. Every CEO would be well advised to read The Marine Corps Way to Win On Wall St.-whether or not they are contemplating dealing with Wall Street bankers." "Ken Marlin is a real player in the roller-coaster world of M&A and Wall Street. His formula for success in business is simple, and a great life lesson: understand the people you are doing a deal with and what they are trying to accomplish. Helping them get what they want gets you what you want -- success!" "Few bankers are in Ken Marlin's league. And rarely does one of Wall Street's best take the time to explain the intersection of psychology, morality and experience that goes into a hard-won reputation as a "trusted advisor" and "honest broker." This book is a must-read for those seeking to up their business game, as well as for everyone else striving to achieve more in the game of life." "The reputations of almost all institutions have suffered in recent years, certainly including the reputation of Wall Street. 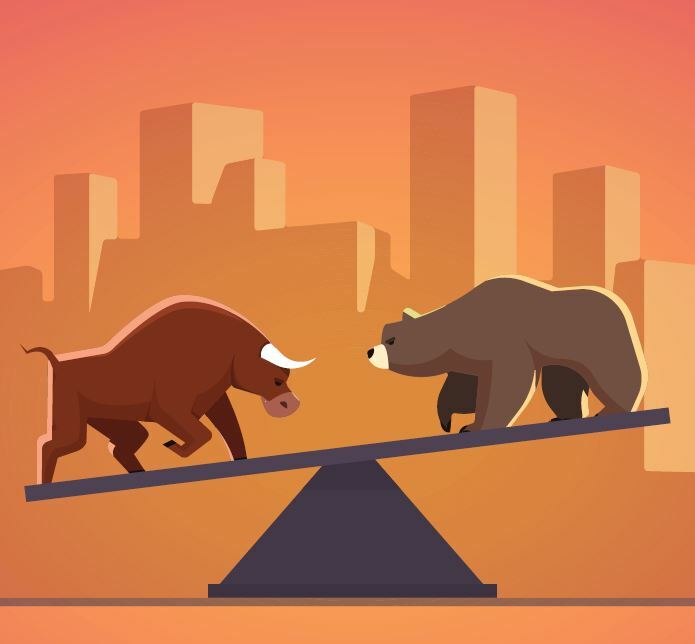 Ken Marlin, a rare Marine-turned-investment banker, shows how financial professionals can learn from the values of the highly regarded Marines to earn back the respect Wall Street needs from Main Street. 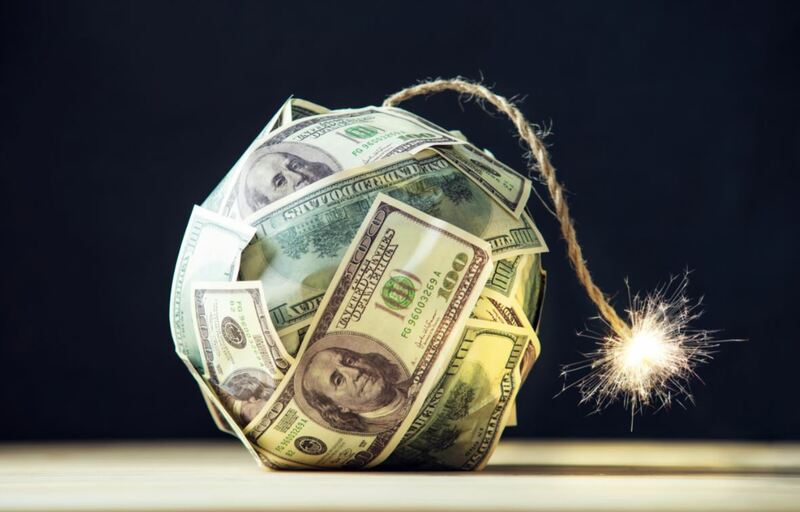 America's return to confident, growing markets depends on it." "The attributes and virtues that have brought success to the Marine Corps since 1775 - honor, commitment, sacrifice, adherence to standards, striving to achieve a common purpose, unparalleled individual and organizational expertise, and team work - are not exclusive to Marines. They will work in almost any endeavor and especially on Wall Street. Ken Marlin hit a home run in describing just how that can and should be done." Lt. General Robert R. Blackman Jr.
"Ken Marlin is an innovative and deeply experienced adviser. His clarion call for new standards of behavior in the capital markets is a fresh breeze. Ken applies The U.S. Marine Corps way to the markets in a manner that challenges all of us. His ideas are worth reading and debating." CEO of Kroll Bond Ratings; founder and former CEO of Kroll Inc.
Q&A with Ken Marlin, author of "The Marine Corps Way to Win on Wall Street"
280 – Ken Marlin: Author of "The Marine Corps Way to Win on Wall Street"